If you formed a Corporation or a Limited Liability Company (LLC) you have made a wise decision, you have created the first line of defense for your business and your personal assets. A virtual suit of armor. You see, a Corporation or LLC provides the liability protection every business owner needs and is backed by the government. 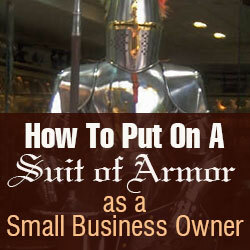 The problem is most business owners who incorporate are never told they must act and treat their company as a separate legal business if they want to maintain that corporate suit of armor for their business and personal assets. Corporations and LLC are required, no matter what the size, to maintain corporate formalities. As a corporation owner you are required by law to observe corporate formalities. Some examples of corporate formalities include keeping the corporation in good standing in the state of incorporation, maintaining the stock ledgers properly, keeping your corporate minutes and corporate resolutions up-to-date. Failure to maintain corporate formalities leaves you exposed to personal liability and possible penalties. It is like going into battle without your armor. Incorporating offers amazing and powerful liability protection but the only way the courts can enforce that benefit is if you treat the corporation like a real corporation. Unfortunately, most people, out of ignorance, form a corporation or LLC but then treat the company as if it’s a sole proprietorship. What Do All Business Entities Have In Common? What do corporations and LLCs, have in common? They are all required to keep corporate formalities. When you formed the entity, you created a separate legal person in the eyes of the law. A corporation has its own identity, it has its own name, and it has its own tax identification. When you do business through a corporation you must maintain separation between you, the owner, and the business entity. You may represent the business through introductions or signing contracts, but it is the corporation that the vendors are doing business with. This legal separation, this recognition, creates a lot of advantages, and the biggest advantage that we gain from this is limited liability. If the company were to be sued or more likely, when it is sued, only the assets of the company are at risk if proper separation has been established through the maintenance of corporate formalities. If proper separation has been established through corporate formalities, what is at risk if the corporation or LLC is sued? Just the assets of the corporation or LLC, not the personal assets of the owners. So how do you establish this separation in the eyes of the law and the IRS? Well it takes more than just putting your name and title on your business cards. You must follow corporate formalities. The loss of your personal asset protection. Allowing a creditor, the IRS or unscrupulous attorneys to pierce the corporate veil of protection and seize your personal assets. Companies that are owned by an individual or a small group of individuals are at the greatest risk of losing the liability protection a Corporation that a LLC provides. Keeping corporate formalities may not seem necessary if you are the chief, cook and bottle washer. But, unfortunately the courts, the IRS and creditors know that many small closely held companies will not meet the legal standards of operating a company, which in turn makes you a prime target for an attack on your personal assets. If your company were audited or involved in a lawsuit one of the first things that will be subpoenaed is the corporate records, in an audit they will ask for your corporate minutes and stock ledger statement. If you can’t meet these basic requirements for corporate operations then there is a good chance the liability protection of the entity will be disregarded. Your corporation will be considered an “alter ego” of the owner and the business treated as a sole proprietorship. Meeting the compliance requirements as outlined by state, federal and local laws is the foundation to the asset protection your business entity can provide. Large companies understand the importance and the dire consequences that can come from not maintaining their corporate formalities. As a small business owner you are at a severe disadvantage when it comes to meeting these requirements. What should you do as a business owner or manager to ensure corporate formalities are complied with in an appropriate manner? Have you fallen behind in maintaining your corporate records? Are your assets protected? If you’re lost in the maze of corporate rules and regulations and you don’t know where your company stands you can’t afford to wait another minute. Your business and your personal assets could be at risk. The problem most business owners don’t have the time, knowledge or resources to maintain their corporate records. Failure to meet even one piece of the compliance requirements can spell financial ruin for the owner. If keeping your corporate records doesn’t fit within your knowledge base or you just don’t have the time, then look at hiring a professional service to manage this task for you. It’s a critical compliance requirement for all corporations and LLC and should not be overlooked. 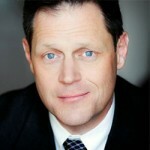 Aaron Young has been the CEO of Laughlin Associates for almost 20 years. Under his direction, Laughlin has served more than 80,000 business owners across a wide range of industries. A strategic-thinking partner, Aaron knows what works and what does not. Clients consult Aaron for his expertise in eliminating the mistakes and maximizing the successes of their business. Aaron is an industry leader in complex areas such as corporate structuring, asset management and protection, growth strategies, partnership issues, corporate leadership and corporate compliance. A riveting and knowledgeable keynote and breakout speaker who speaks directly to the goals and challenges of entrepreneurs as only another business owner can, Aaron has addressed entrepreneurial and business audiences for major players in global trading and finance. He is in high demand for his expertise on asset-protection tax planning and is noted for his signature speech, Building Your Corporate Fortress. Over the years, he has spoken to more than 100,000 people on four continents.